So in celebration of National Haiku Poetry Day, I wondered, what would it be like to convert one of the poems in Within a Heart of Silence to haiku? 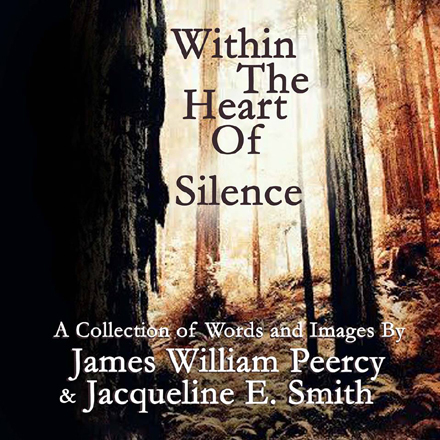 Jacqueline E. Smith, the photographer, and I, James William Peercy, the poet, collaborated on Within the Heart of Silence. 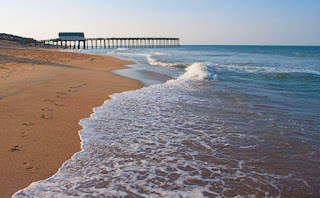 Selecting the poem for Outer Banks, Nags Head, North Carolina, I discovered it would take five haikus to do what was done in the book if I were to stay close to the original wording. Here is the result. What do you think? Jacqueline’s photo, Outer Banks, Nags Head, North Carolina. The sea no one’s land. Into a sea of froth. A soothing of our toes. Run your fingers through the mist. Feel it touch the skin. Love the whispers of life’s breath. They do make us whole. Similar yet different? Perhaps it is not unlike the conversion of a book to a movie or a movie to a book. The very nature of the format forces the difference. Hopefully the meaning is still clear. This book was published by Wind Trail Publishing. Check out their other books!